“South Korea presents a great opportunity for Canadian pellet producers. The country has become serious about reducing greenhouse gas emissions and has committed to a 30 percent reduction in CO2 emissions from projected levels by 2020”, - the director of the Wood pellet association of Canada Gordon Murray said. The government has directed 374 of South Korea’s largest companies to reduce emissions by 30 percent by 2020. The companies, which include 78 petrochemical producers, 57 paper and wood manufacturers, 36 power generators, 34 steel manufacturers, and 31 electronic chip manufacturers, are required to submit action plans to government by mid 2011 and must begin making meaningful emissions reductions starting in 2012. In addition, the government has introduced renewable portfolio standards which require coal power generators to begin producing a minimum of 2 percent renewable energy by 2012, increasing by 0.5 percent per year until 2020 when they will be required to produce a minimum of 10 percent renewable energy. At least 60 percent of renewable energy is expected to come from biomass, i.e. 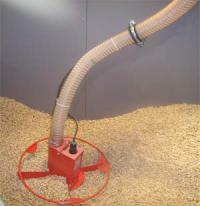 wood pellets. The power sector presently consumes 75 million tons of coal annually and with economic growth will likely consume more than 100 million tons by 2020. For 2012, wood pellet consumption by the power sector will likely be at least 1.4 million tons (calculated as 75 million tons of coal times 2% renewable energy times 60% biomass times 1.5 tons of wood pellets per ton of coal). By 2020, biomass consumption should increase to at least 9 million tons (calculated as 100 million tonnes of coal times 10% renewable energy times 60% biomass times 1.5 tons of wood pellets per ton of coal). To put this in perspective, the European Union presently consumes about 9 million tonnes of pellets per year. Although South Korea has a small domestic wood pellet industry, the country is too small to be able to meet any more than a small fraction of its own pellet needs. Current domestic production capacity is about 20,000 tons per year. Southeast Asia (e.g. Vietnam, Cambodia, Laos, Malaysia, and Indonesia), New Zealand, and Australia. Nevertheless, the distance from Vancouver to Incheon is just 8,000 kilometers which is less than half the 16,500 kilometers from Vancouver to Rotterdam which is currently Canada’s largest market. Canadian pellet producers will need to focus on South Korea in 2011. The South Korean coal power producers and the 374 large companies targeted by government will all be scrambling to put plans in place to meet the requirements for 2012. “Canadians need to establish relationships with potential buyers, work on transportation logistics, send test shipments, work out off-take agreements, and establish market share”, - said Gordoy Murray. This is the position of the Canadians pellet producers, Russians are also should be involved in the pellet sales to South Karea. Moreover, the Korean company has established the Russian subsidiary in the East of Russia and announced that 100 000 – 200 000 tones of pellets will be produced their in 2011-2012. All produced pellets will be exported to South Korea. The South Korean pellet market could be more interesting market than European market for Russian companies from Far East and Siberia. Of course the strong competition with Canadians, Australians and other countries will be existed for Russian.